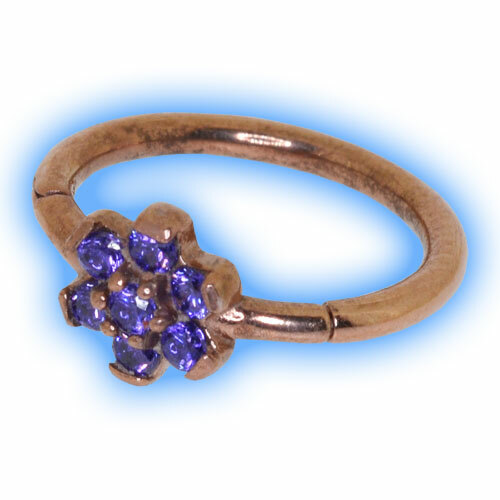 An rose gold plated hinged segment ring that has an easy close section to aid fitting and removing from a body piercing. The stunning flower is set with Swarowski crystals so it is really unusual and really sparkles in the light. It is available in a choice of jewel colours and internal diameters.